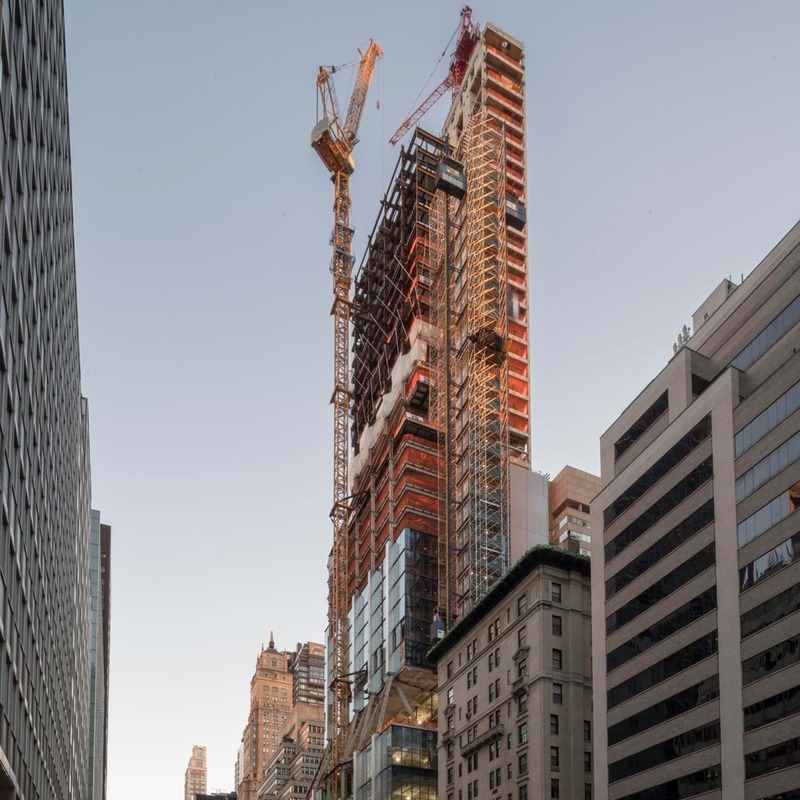 The topping out ceremony for 425 Park Avenue was attended by British architect Norman Foster, accompanied by David W. Levinson and Rob Lapidus, the co-founders of L&L Holding Company who commissioned the building. 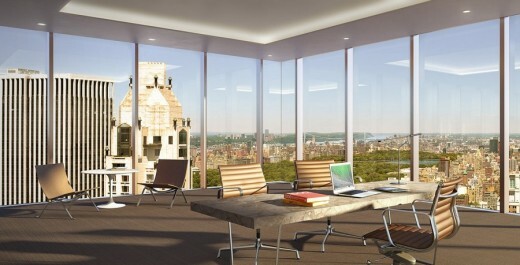 The first full-block office building built on Park Avenue in over 50 years, 425 Park Avenue stands alongside Modernist icons designed by Mies van der Rohe, Eero Saarinen and Philip Johnson on the world’s grand boulevard of commerce. 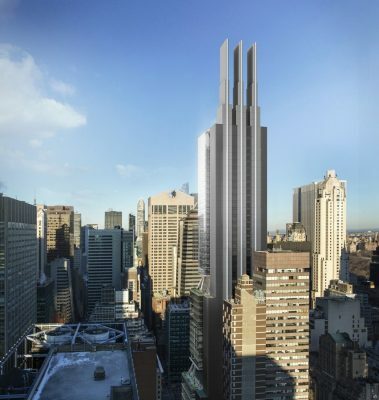 The tower’s form is a pure expression of its function. The building is divided vertically into three distinct volumes: a seven-storey base, knitted to the urban grain at street level; a recessed central section; and a slender formation of premium floors at the top. These proportions were established through a process of detailed analysis, involving modelling views of Central Park from the site and finding the ideal distribution of areas to achieve a balanced composition. The first set back – a characteristic feature of high-rise design in New York – corresponds with the datum of the street. The second set back develops this theme, physically and symbolically setting the upper levels apart from the rest of the city’s office towers. 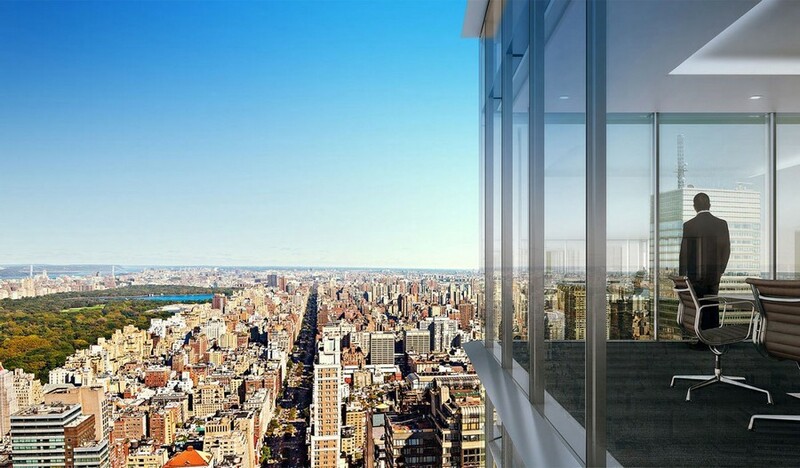 To maximise the Park Avenue frontage, the core is placed to the rear, where glazed elevator cores bring life to the eastern elevation and reveal long views towards the East River. 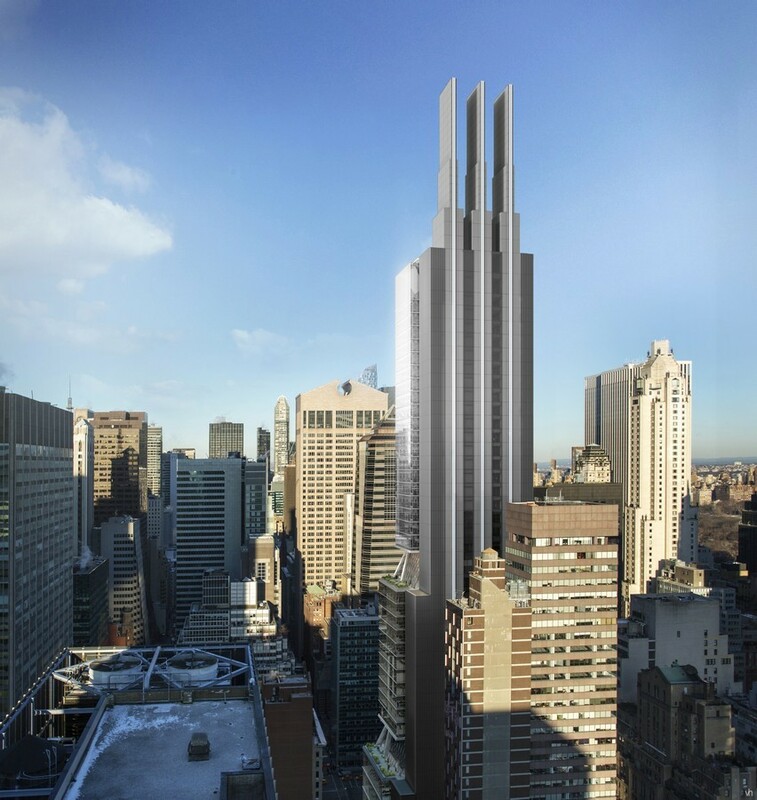 Clearly expressing the structure, the tapered steel and concrete framed tower rises to meet three shear walls – extending from the top of the tower, these three blades will provide an elegant marker on the skyline. The structural expression of the building not only gives it a unique identity, but also allows for truly flexible, column-free floorplates that can accommodate a wide range of tenants. 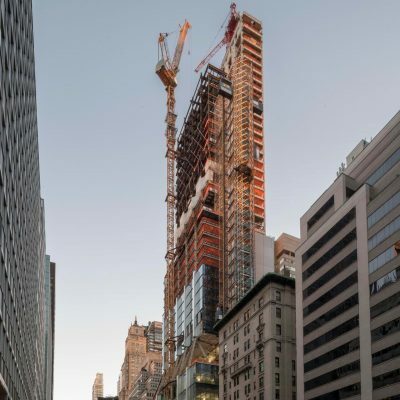 Work began in Summer 2015 on replacing the existing building at 425 Park Avenue in New York with a new 21st century skyscraper designed by Foster + Partners. A groundbreaking ceremony took place on June 10 for the 677.5 ft tall building which will combine sustainability with a focus on occupant wellbeing, reports gizmag.com.